Posted by Ronald Cifuentes on March 27, 2018 at 10:33 AM. Filed under Smart Home, Q&A . Z-Wave is one of the main home automation protocols (think of it as a language) that is used by various devices in order to allow them to communicate with one another. Ideally, you want to have devices that all speak the same language. What can I do with Z-Wave? 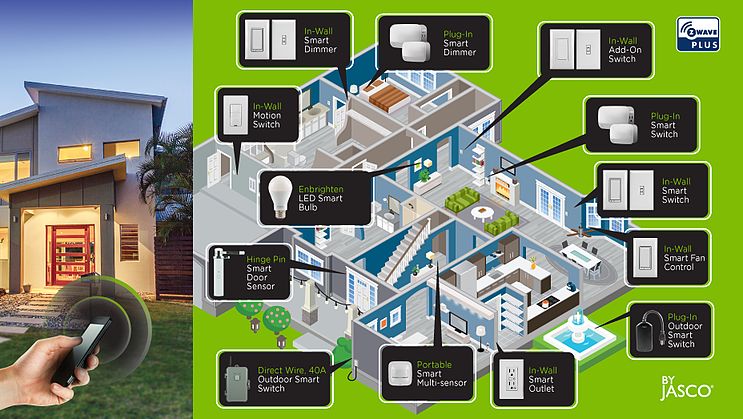 You can control and schedule devices and processes in your home via Z-Wave. For example, you can remotely adjust the temperature in your home via a thermostat, make sure you locked the back door via a door lock, or schedule your lights to turn on at sunset and off at sunrise via smart bulbs, switches, or modules. In a nutshell, home automation is having the ability to remotely control appliances, electronics and/or systems in your house, set schedules for them, or operate based on a set of conditions. How do I control Z-Wave products? Z-Wave products can be controlled via a Z-Wave controller. The most common controllers are smartphones and tablets that connect to Z-Wave hubs like SmartThings, Wink or Iris. Do I need an internet connection in order to use Z-Wave devices? Most Z-Wave Hubs require an internet connection so you can control your devices with your smartphone, and to take full advantage of the Z-Wave devices wireless smart functionalities. Several Z-Wave devices have the ability to be manually operated via physical buttons/switches on the devices themselves in the event that your internet is down temporarily. Z-Wave handheld controllers likely do not need the internet. Yes - in order to get the most out of your Z-Wave device a Z-Wave Certified hub is required in order to set schedules and control remotely away from the home, which a handheld Z-Wave controller cannot do. Do I have to do any wiring or installation with Z-Wave products? It depends on the device. For example, if you want to control the lighting in your ceiling you will need to install a Z-Wave light switch or dimmer that will require some electrical wiring. However, there are devices that do not require any wiring and can be installed by plugging the product into a wall outlet and then plugging in the appliance you want to control. 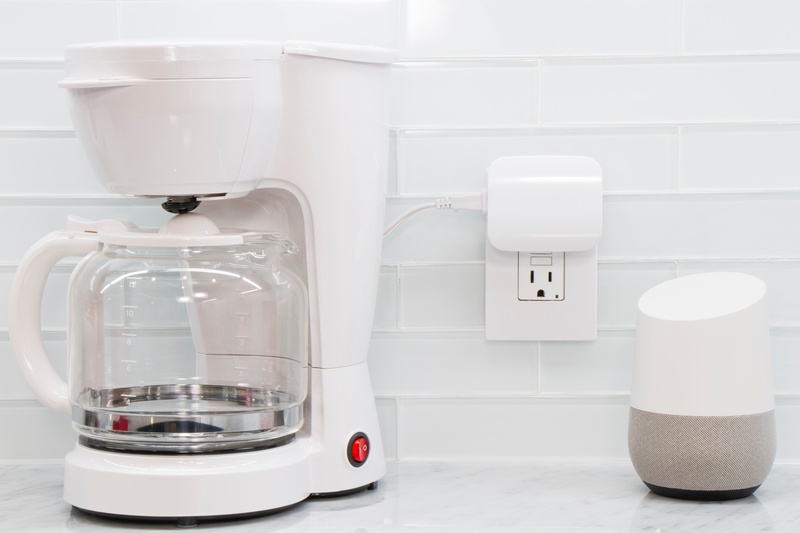 Do Z-Wave smart home products work with Amazon Alexa or Google Home? Most Z-Wave lighting controls, locks and thermostats are compatible with Amazon Alexa and Google Home. You will simply need an Alexa or Google Home certified hub. Can Z-Wave products be used with the Amazon Echo Plus? Yes, as long as you are using a Z-Wave hub that is compatible with the Echo Plus. Z-Wave items are the first generation of these devices and Z-Wave Plus items are the newest generation of Z-Wave devices. 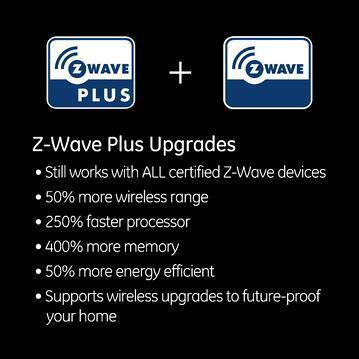 Z-Wave Plus devices have 50% more wireless range, 250% faster processor, 400% more memory, 50% more energy efficiency and they support wireless upgrades. Both generations of Z-Wave certified devices work together. This means that even if you have a classic Z-Wave controller or hub, it will still work to control the newer Z-Wave Plus products, and vice versa. So, you can continue to use your existing Z-Wave devices unless you choose to upgrade. For more information check out this blog post on Z-Wave plus. Will my Z-Wave items ever need to be replaced by newer versions? No, as long as a product is Z-Wave certified (look for the official Z-Wave logo) your devices will still function through your Z-Wave hub. 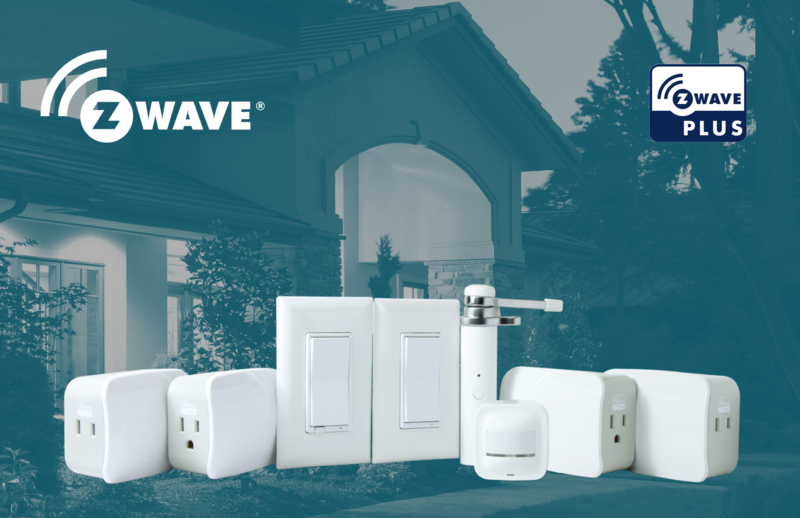 All Z-Wave devices are backward compatible and will function as intended even if there are newer devices available. You will only need to replace them if you decide you want different or newer features that your current product doesn’t have. Ronald is currently an undergrad at the University of Oklahoma and the newest member of the Digital Marketing team at Jasco. Ronald enjoys discovering new music and listening to podcasts. He strongly believes Batman is the best superhero of all time and is most at peace when his phone has 0 app notifications.